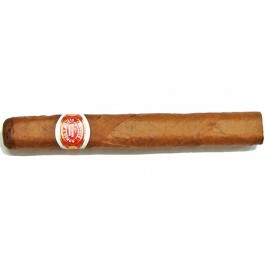 The Romeo y Julieta Petit Coronas is a tasty, short and medium bodied Cuban smoke, 5.1” (129mm) long, of 42 ring gauge, and comes in a 25 cigars box. It is a rather short smoke, approximately one hour long that is, like other cigars from the brand, very well balanced and with a wide variety of aromas at the same time. There are a lot of woody, toasty tobacco aromas, also lots of creaminess, sweetness and spices. Nice hints of fresh and bitter fruits. The construction on this cigar is flawless, and ages very well. In short, it provides a great bang for your buck.